Our team! All packed and ready to leave Blantyre and meet the people in Nsanje. 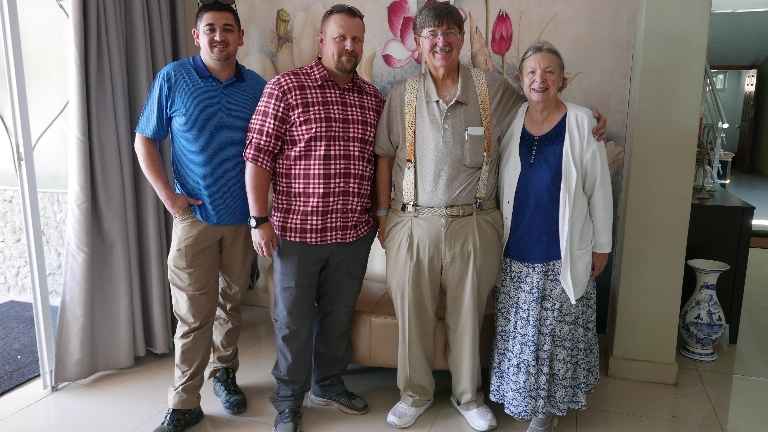 For the next few weeks I will be posting the updates I sent to our Malawi Support Team consisting of around eighty people while we were in Malawi, Africa, so that you, too, can experience the blessings of answering the call to ‘go to all the nations.’ This mission is supported by friends, family, and acquaintances of David and Vicki Andree. The Holy Spirit has called us without the advantage or assistance of an experienced missions church. We follow the leading of the Holy Spirit as He teaches us how to minister to and love the people in Malawi. Our training manual is the Holy Bible and our leader is the Lord Jesus Christ. To God be the Glory!! 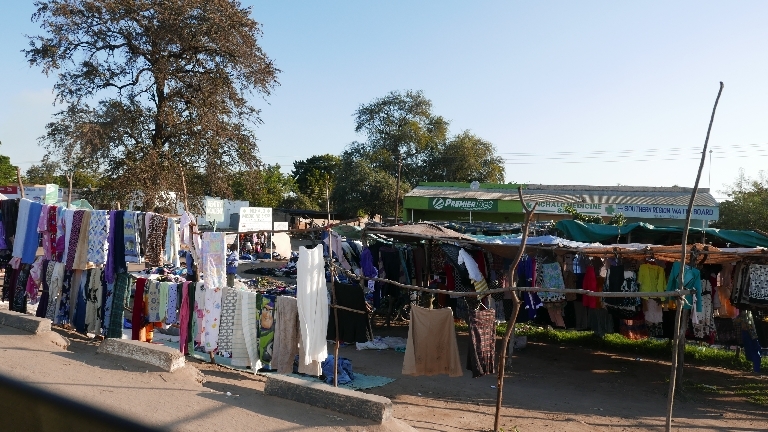 David and I spent a few days in Blantyre, Malawi, to recover from the long flight. Ian and Joey flew in two days after we arrived. 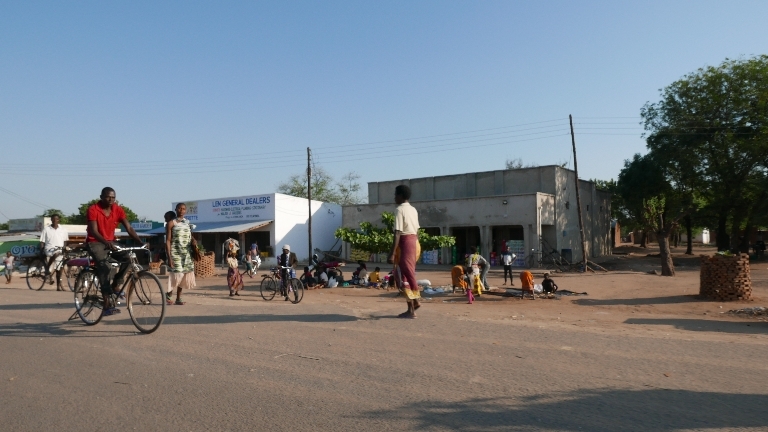 We did all our necessary shopping and were ready to head to the village of Nsanje in the morning, where we would be teaching for the next two weeks plus a few days for a conference. Another day in Africa! After our breakfast meeting at 9 o’clock, Pastor Chilemba would pick us up at ten o’clock. It was 10:30 and no one had arrived. Finally, around 11:30 John showed up at the Lobby of the Lotus Hotel on foot to tell us that his father was getting the brakes fixed on the car. Earlier the day before Pastor CHilemba had mentioned that he had heard a squeak on the brakes and wouldn’t drive down the mountain until they were checked. 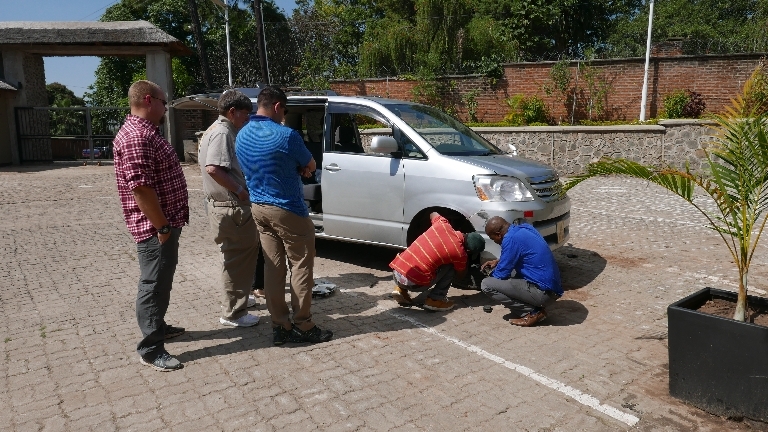 About an hour later Pastor Chilemba drove up with the mechanic, who worked on the brakes in the parking lot while we packed the van and waited twenty minutes! Whew! It’s Africa! Soon we were going up the mountain and as we drove down the steep grade, I was grateful for the delay at the Hotel and thanked God for Pastor Chilemba’s wisdom. All along the way we passed small villages along the road with people buying and selling various items such as firewood, coal, grain, and clothing. 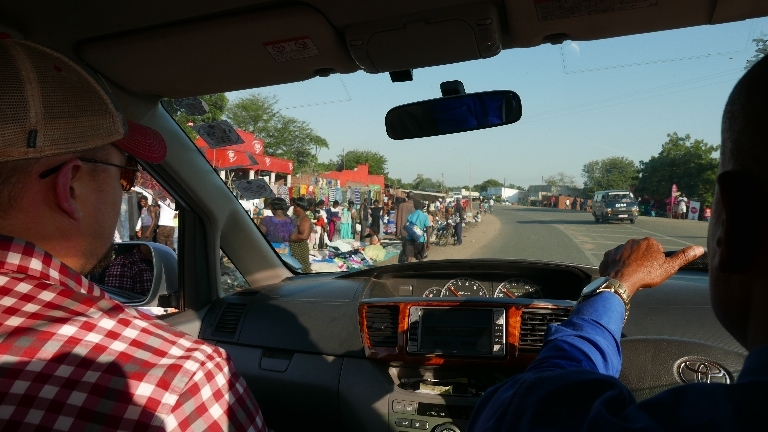 Ian, with Pastor driving through a village. 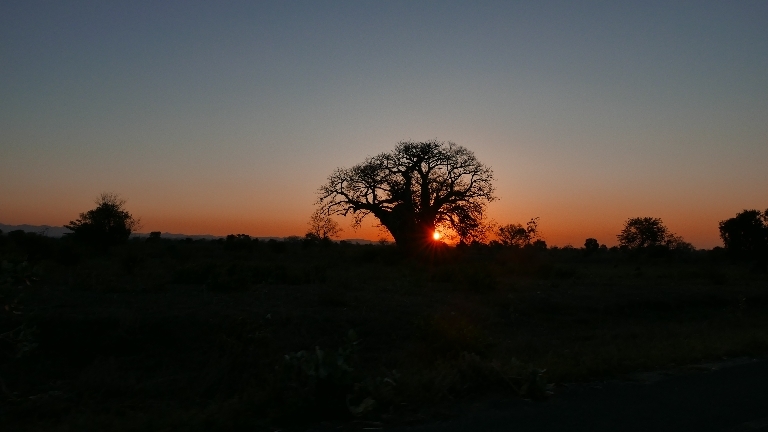 Sun setting behind a starkly beautiful Baobab tree, one of my favorites. A welcoming committee greeted us as we arrived at the new big church. Steve Lee had put us on notice before we left that we should not miss this spectacular eclipse. 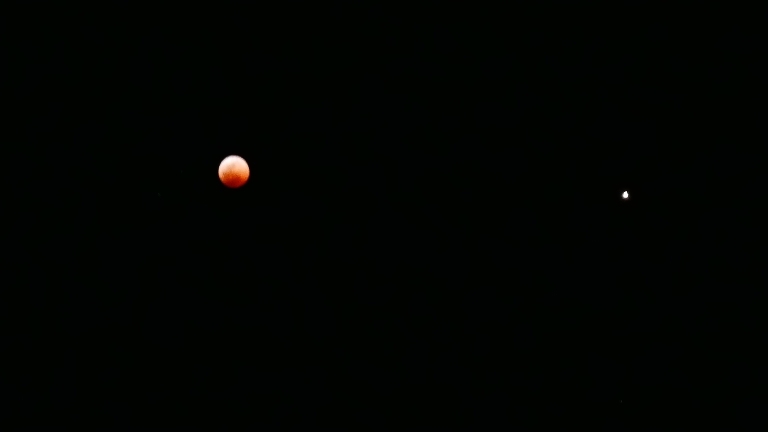 The eclipse of the century lasted over an hour and was only visible south of the equator. God is so good! 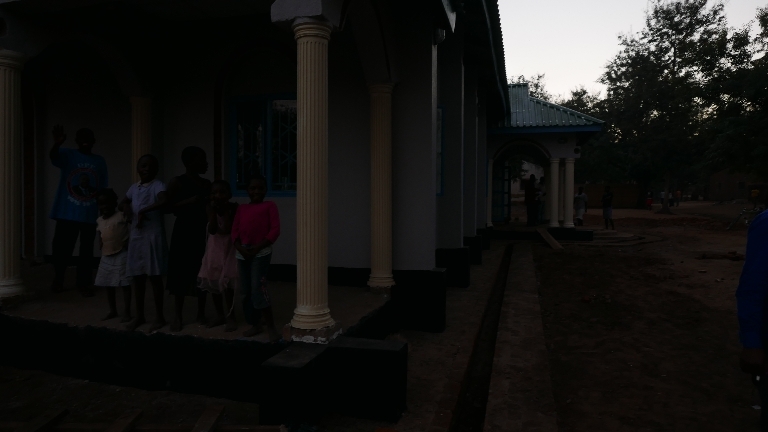 What an amazing way to begin our time here in Nsanje. A dramatic ending of an unforgettable day! Please pray for wisdom and understanding as we make contact with the people here. Let the Lord’s light shine brightly through us. Pray for the Lord to keep the evil one away so we can focus on the Lord’s will in all we do.